2. In a large mixing bowl, mix margarine, water, and vanilla. 3. Combine brown sugar, granulated sugar, Cambrooke MixQuick, baking soda, and salt in another bowl. 4. Gradually add the dry ingredients to the wet. The mixture will appear a bit dry, so you will have to continue mixing it by hand. 5. Roll round spoonfuls of dough into balls (approximately 22 grams each) and place onto a lightly greased pan. Flatten the cookies either with your hand or the bottom of a cup (greased to prevent sticking). 6. Bake for 7-9 minutes. 7. 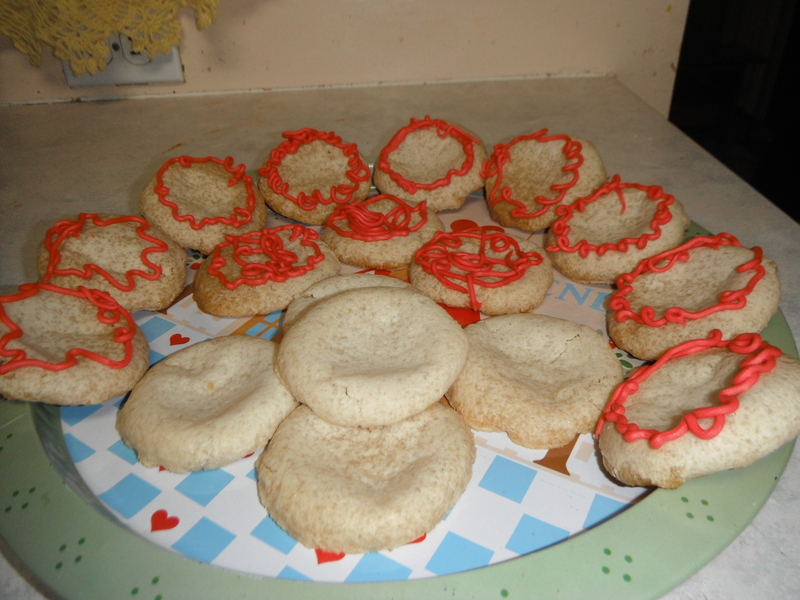 Allow the cookies to cool completely to avoid breaking/crumbling. The recipe makes approximately 20 cookies, and I estimated the mg of phe for the entire recipe to be around 3 mg of phe. Be forewarned that this is just something I tossed together, and I am far from an excellent cook. Genavieve (my three year old PKU sister) and Brennan (my two year old non PKU brother) devoured the cookies within minutes though, so I am assuming they weren’t that bad LOL. Since I’m from Europe, I don’t know Cambrooke Foods, do they have a homepage? Made a batch of these for my daughter tonight. Between her and her two non-pku siblings there were two left. I ate those. I’m glad to hear you/your family liked them! I wasn’t sure if the batch of cookies that turned on good was a fluke or if I would be able to recreate it again, so I’m glad to hear someone else had success with this recipe as well! Thank You so much for your experimenting. This is exactly what I have been looking for. My four year old daughter is so excited to help make these. This’ll make the perfect Christmas treats so she won’t feel left out from her older non-pku brother and sister. Thanks again!